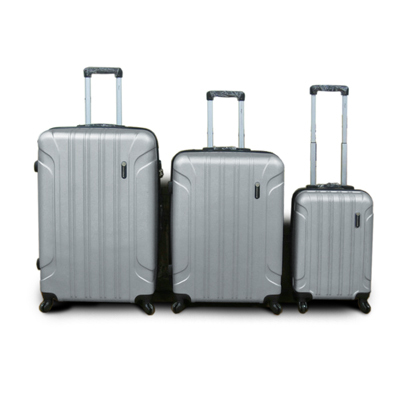 Three piece trolley cases set comprising 32inch, 28inch and 21inch cabin size. Features include; ABS shell, spring loaded grab handles, push button locking trolley system, integral combination locks, and 4 spinner wheels for easy glide-360 degree mobility. Inside the cases are fully lined and have restraint straps and a zipped organiser pocket.